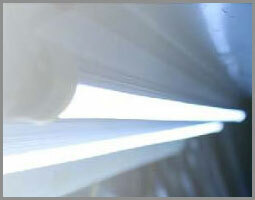 Introducing the Light Kinetics LK-F1 , the first commercially available fluorescent tube replacement utilizing clean, safe, and long lasting LED technology. The LK-F1's amazing patent-pending driver technology is compatible with all standard fluorescent ballasts, eliminating the need for costly replacement of obsolete systems. Upgrading your failure prone, environmentally hazardous fluorescent lighting system to solid state, LED technology is now as easy as replacing the bulb! 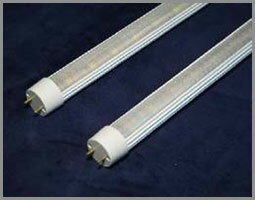 Our LED replacement tubes fit into standard T8 fluorescent luminaires. No need to remove the ballast – just pop them in and start enjoying 20-50% energy savings and a 10 year life expectancy with minimal heat generation! The tube and the bulb look much nicer than fluorescent tubes as well.